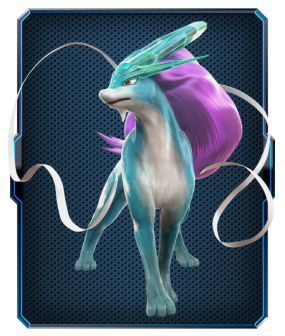 Pokkén Tournament currently has nine playable pokemon and eight Support Pokemon but will be adding more with future updates. Here's a list of each pokemon and the basic moves they can use. 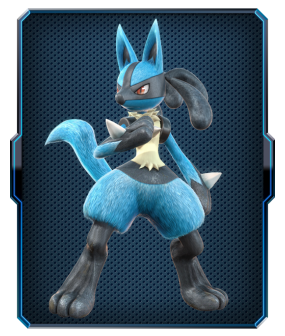 A much longer, more detailed moveset for each character is posted as a .pdf file for each character on the game's official website but for right now this page will just focus on the basic movesets. 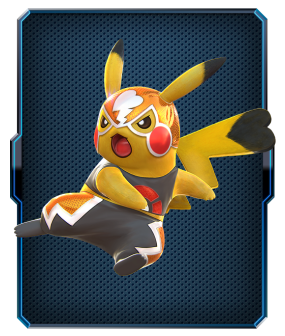 Players will receive bonus items every time they play a game using Masked Pikachu between September 16th and September 30th, 2015. 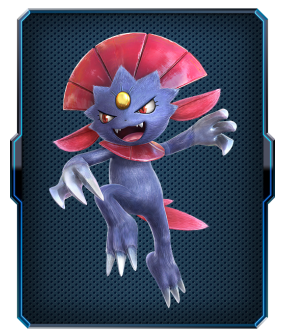 Support Pokemon are pokemon who can be called upon during battle to either attack your opponent or help give you some sort of temporary stat boost. 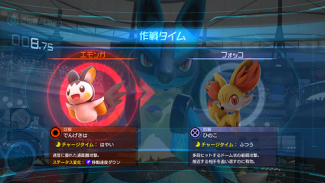 You can summon these pokemon by pressing the L button after your Support Gauge has filled up. 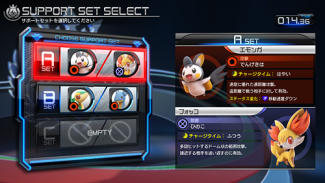 Pokkén Tournament places each Support Pokemon in what they call a "Support Set." Emonga and Fokko make up one set, Tsutarja and Lapras make up another, Gekogashira and Eevee make up a third, etc. Support Pokemon cannot be moved from one set to another so if you were thinking about creating a custom set with, say, Lapras and Fokko, then you're out of luck. You have access to one Support Set at first but are able to unlock additional sets with the help of an Aime / Bana Passport Card. An attack that hits its opponent in multiple stages inside a dome. A powerful attack where Lapras charges at its target within a large area. A technique that heals your Life Gauge and temporarily boosts your attack. 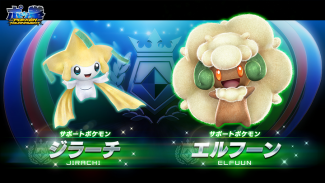 A special Support Set consisting of Jirachi and Elphoon were made available to players who used their Aime Card / Bana Passport card before July 31st, 2015. 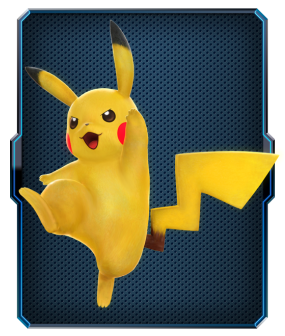 Before each Round you'll be asked to select one of the two pokemon from your Support Set to act as the Support Pokemon for the battle. Pokemon who directly attack your opponent. 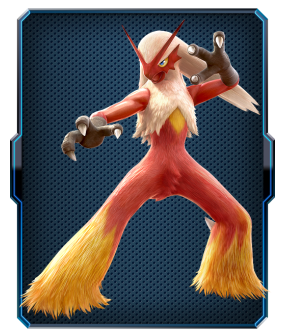 Some Support Pokemon perform long-range attacks, others come in close and do things like Tackle, etc. 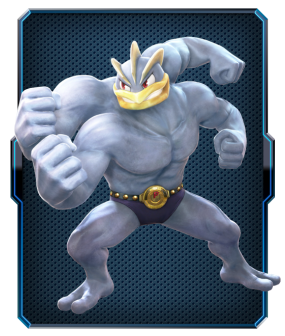 Pokemon who mainly strengthen your pokemon. These Support Pokemon will give you a good status effect, heal your life bar, etc. 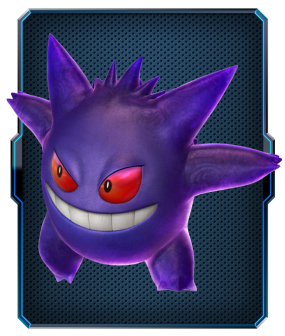 Pokemon who cause problems for your oppoent. 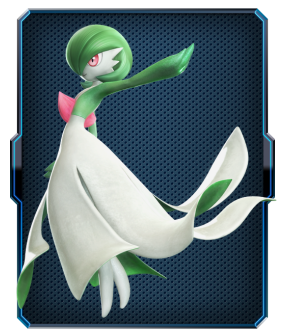 These Support Pokemon will give your opponent a bad status effect, push them further away from you, etc. 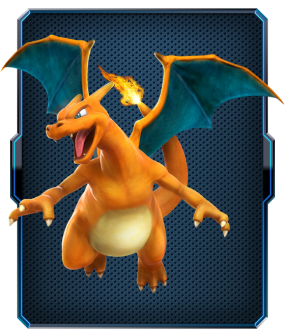 Some attacks will afflict their targets with a status change when they hit their opponent. An icon depicting this change will appear near the affected pokemon's Life Gauge. In between each round a young woman named Near will show up and give you some kind of boost. These boosts include filling up your Resonance Gauge and filling up your Support Gauge to enable you to summon Support Pokemon right away. "Near's Backup! 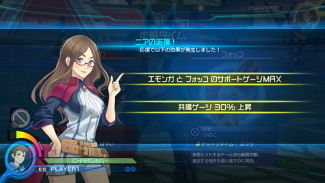 Emonga and Fokko's Support Gauge has been filled to the max and your Resonance Gauge has gone up 30%!"